Throughout much of the 19th century game topped the list of desirable restaurant fare. 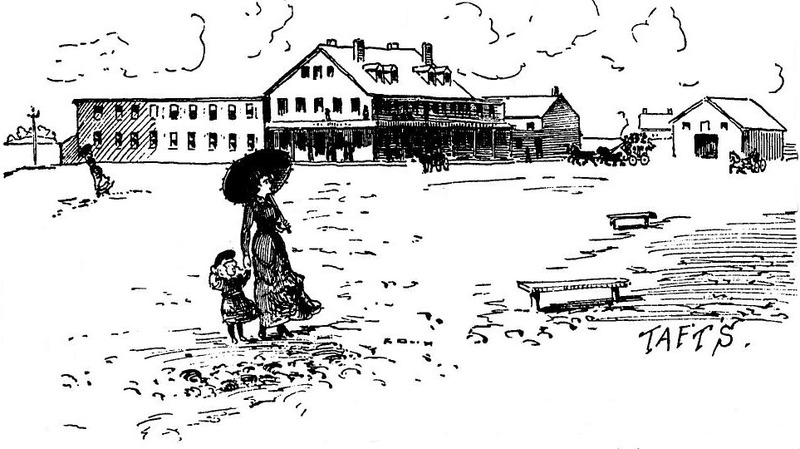 Taft’s Hotel located on the shore at Winthrop MA, 5 miles outside Boston, attained widespread fame as a place to enjoy a fish or game dinner. Proprietor Orray Augustus Taft called his place a hotel but did not accommodate overnight guests. Taft’s was actually a seasonal restaurant serving parties by reservation only, from May through October. It was established at Point Shirley around 1850 and closed in the mid-1880s. Taft’s was not much to look at. Two unattractive structures attached to the main building (shown here) held bowling alleys and billiard tables suggesting that groups often made a day of it. According to visitors of the 1870s, the resort might have had a nice view of the harbor if it had not been blocked by a reformatory on neighboring Deer Island. Taft’s fame was obviously not based on an elegant setup but rather on its provisions. Taft liked to entertain guests by taking them into his kitchen and showing off the contents of his ice chests. Fish came from the waters of Nantucket, Boston Bay, Long Island, and far beyond. Flat fish, such as turbot and plaice, were his specialty. 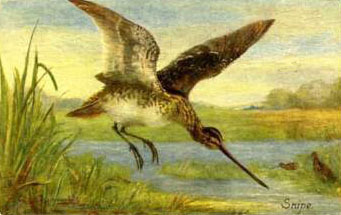 Ducks and birds (snipe, plover, reed birds, grouse) came from all along the Atlantic Coast and the Great Lakes. Kim, don’t sell the sign!!!!! we need to talk. I was searching for any information pertaining to a 1950’s (about) burger j joint in Taft, California. It belonged to my great grandparents. It was an authentic ‘car hop’ style place. Roller skates may have been involved (lol). Everyone in my family is deceased except for my brother & sister & they have no info on it. A remnant of the structure still stands, reminding us of a big mystery. Anyone who may know anything on this matter, & is willing to share, well, we sure would be great fun. Thanks. Paula Gonyer-Winder. My g grandparents were Charlie & Francis Ross. What was its name? What was the address? I am moving to Winthrop. Great story, I used to live at Zpoint Shirley as a child, and played in and around the Taft’s Inn, after it had been abandoned, and left to ruin.Was torn down for a local housing development later on, of single family homes. As kids we used to ski off the roof in the Winter after a large snow fall. Hi, I would love to hear more about where the actual structures stood. I live on Maryland Ave, where the land was part of the Inn, but I am unable to find anything more specific about where the buildings stood. Any information you have would be appreciated! I actually have the TAFTS HOTEL sign in my garage.